Michele Horwich, RN, is the Practice Manager at HK Dermatology and has been the AAAHC Coordinator for the practice for over 15 years. Michele has worked alongside Dr. Jeffrey Klein and Dr. Norma Kassardjian in San Juan Capistrano, California, for over 25 years, safely and gently performing infiltration of local anesthesia on thousands of patients since that time. Michele, along with several other registered nurses at the practice, has injected over 10,000 patients with tumescent local anesthetic, without any complications or untoward reactions. In 1996, Michele developed the Nurses liposuction training course that is conducted in conjunction with Dr. Jeffrey Klein’s Tumescent Liposuction Course for Physicians. Since that time, Michele has trained hundreds of physicians and nurses in tumescent liposuction perioperative duties, including hands-on infiltration training. Beginning in 2015, in addition to her current work with Dr. Jeffrey Klein, Michele became an independent tumescent liposuction nurse consultant, traveling coast to coast to assist Tumescent Liposuction Course physician attendees to train their staff and set up their liposuction practice. Since SculpSure® Fat Lipolysis was approved in 2015 by the FDA as a non-invasive laser to melt fat, Michele has performed hundreds of SculpSure treatments, using her 25 years of liposuction experience to help determine the best placement of the SculpSure applicators. 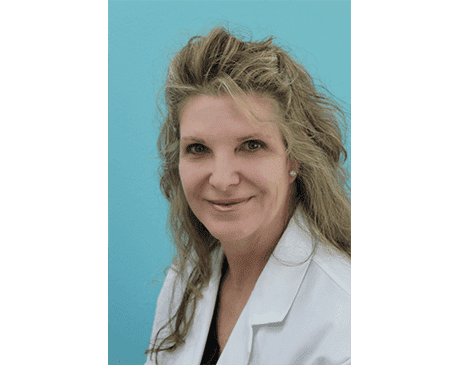 As a cosmetic nurse specialist, Michele performs Botox & Xeomin Injections, Filler Injections, and microneedling with PRF for skin rejuvenation and hair restoration. Michele has extensive experience with the ICON™ laser (IPL, Fractional, Hair Removal) and was a trainer for Cynosure in 2018 before taking over full time as the practice manager.